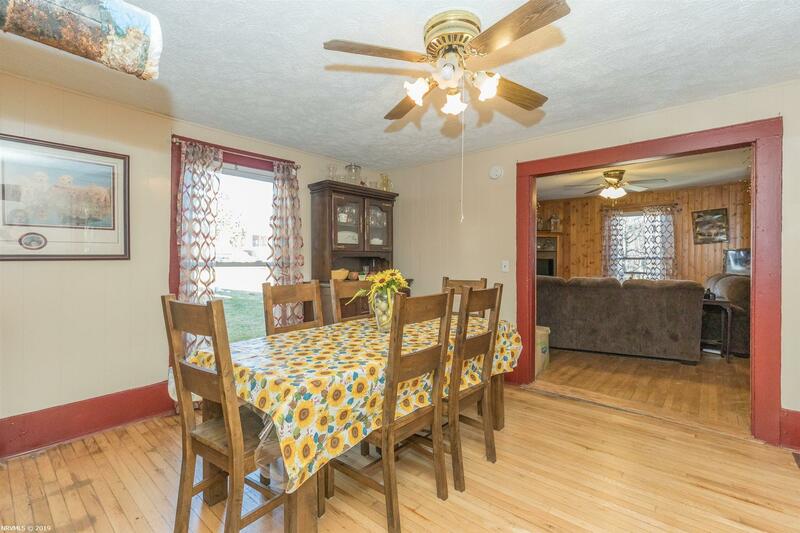 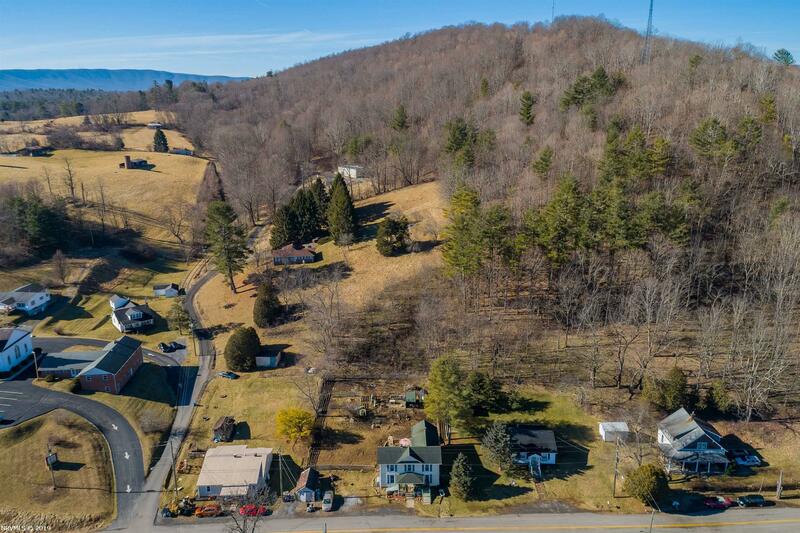 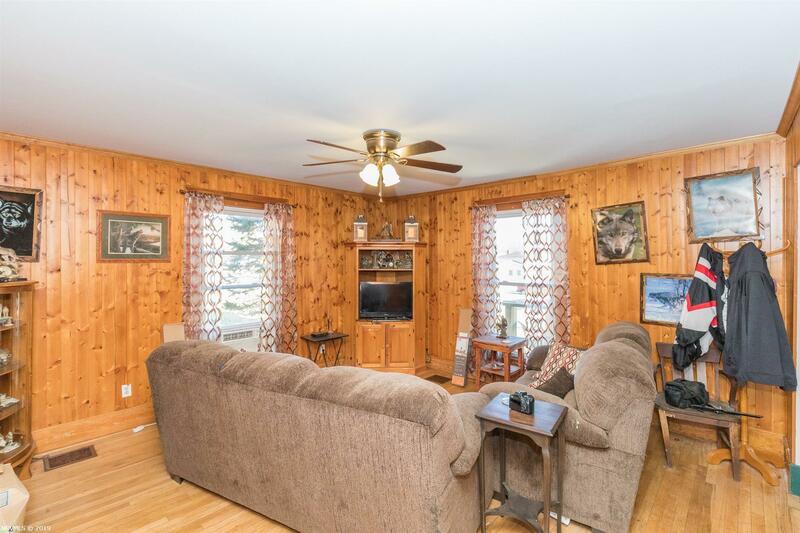 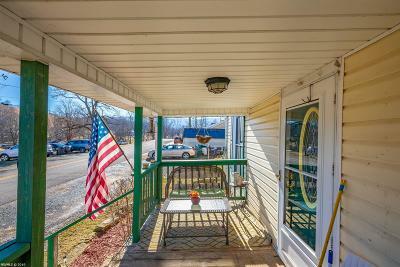 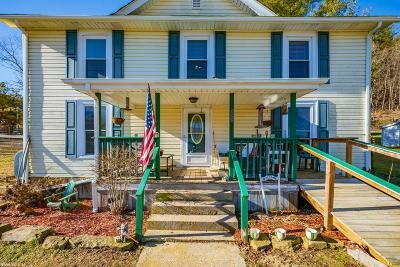 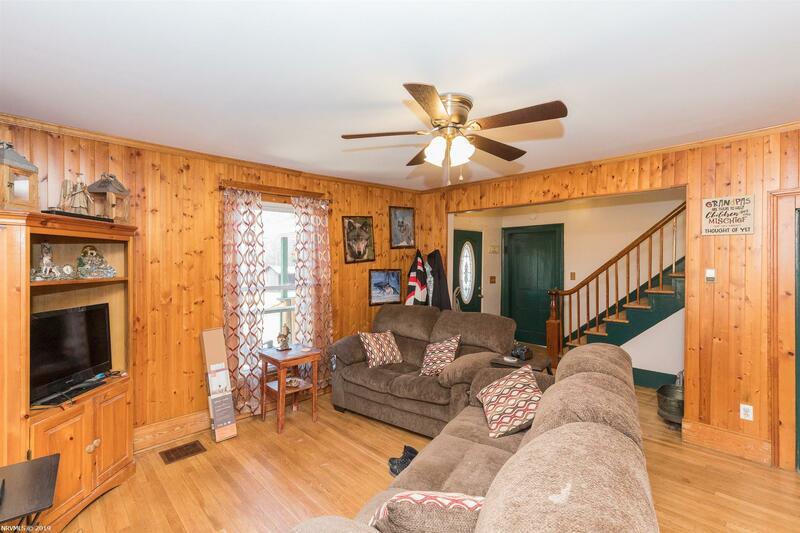 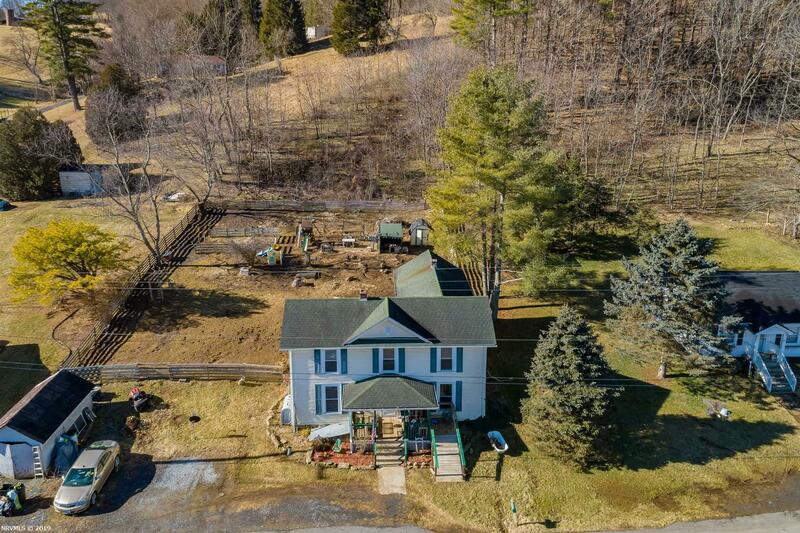 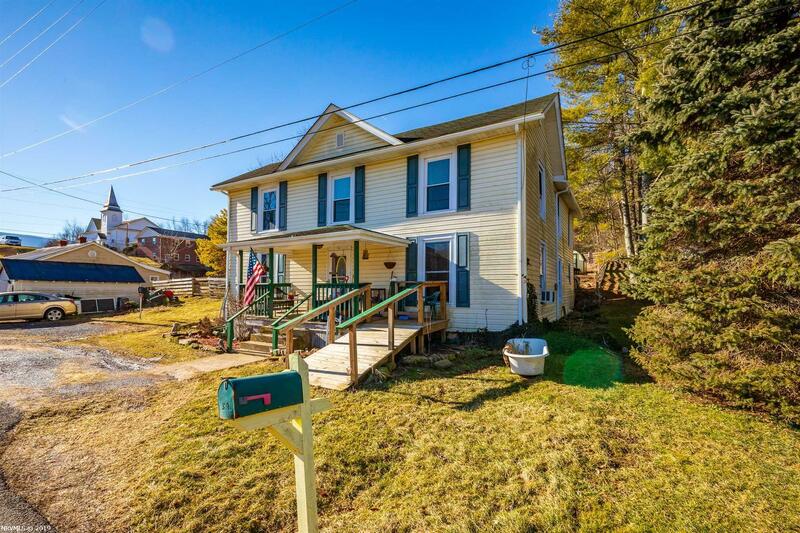 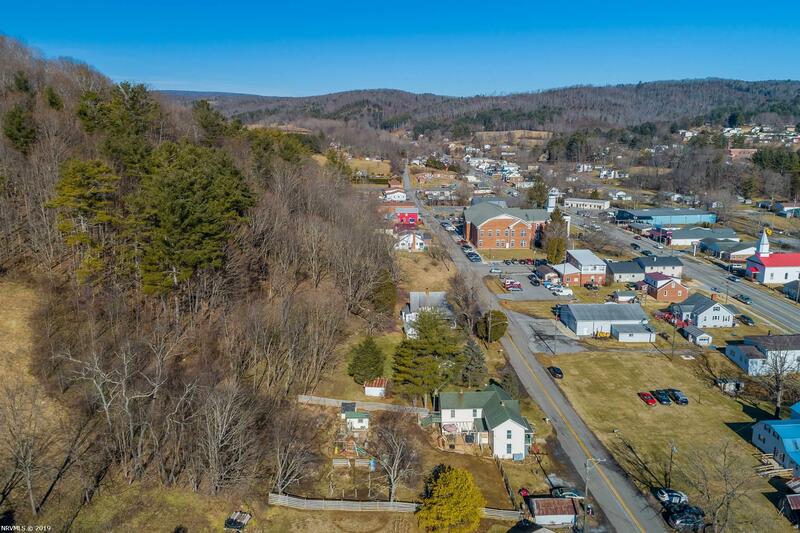 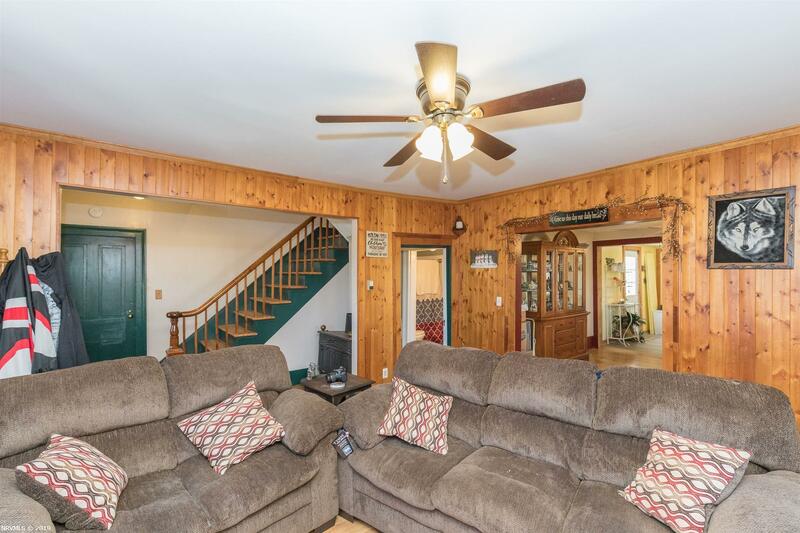 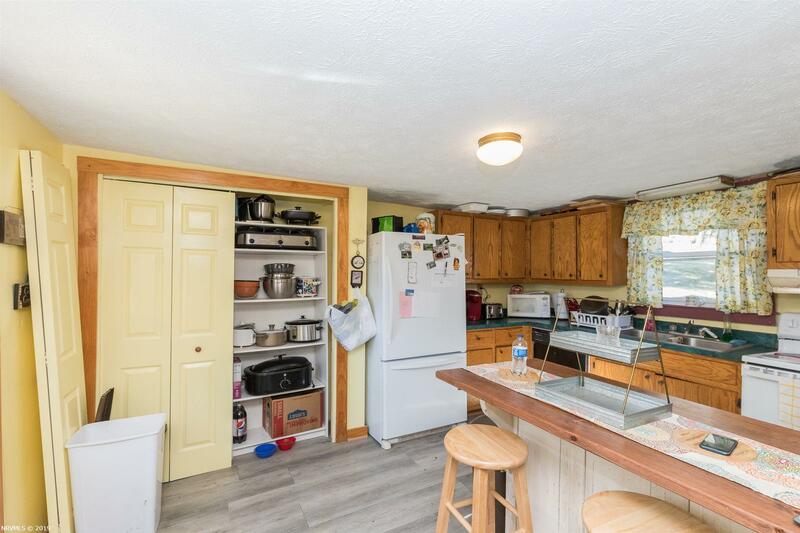 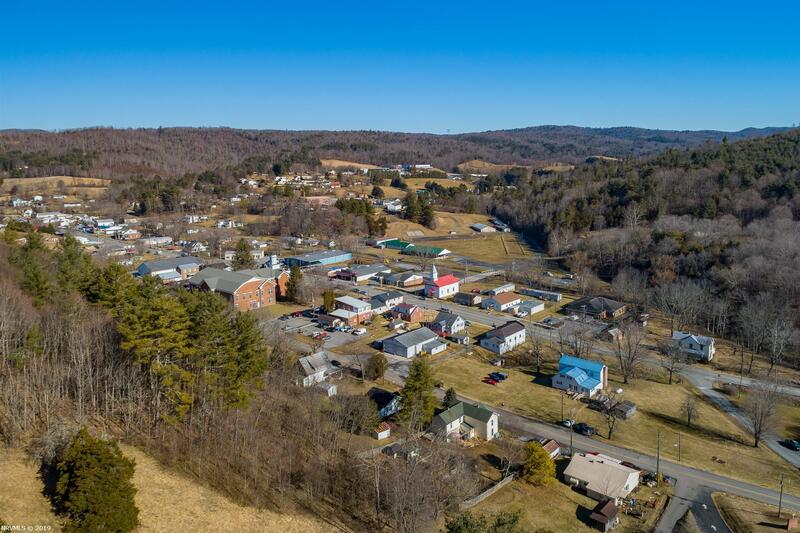 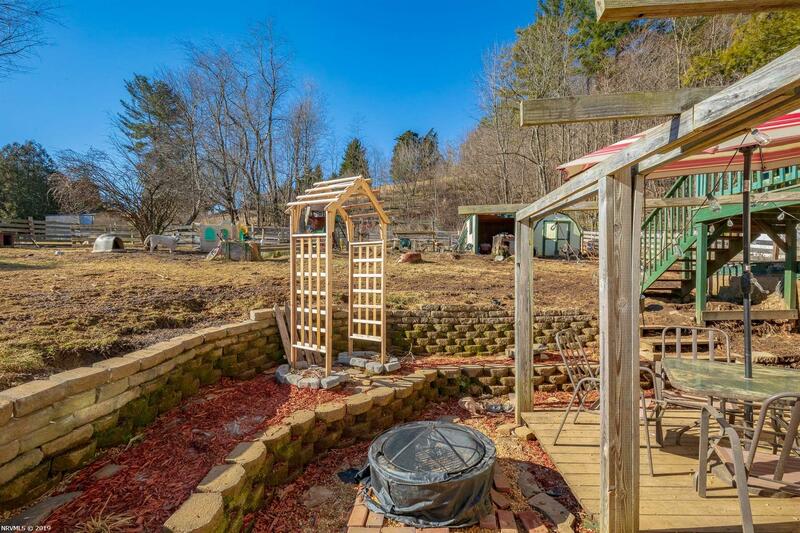 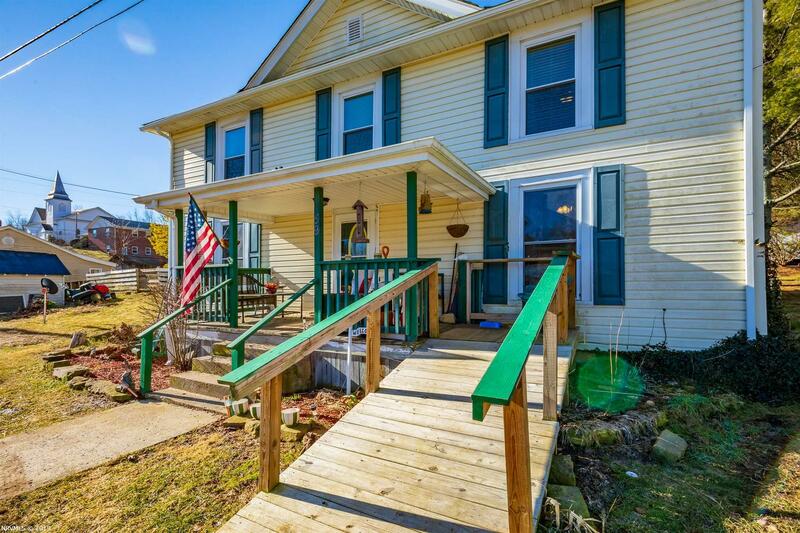 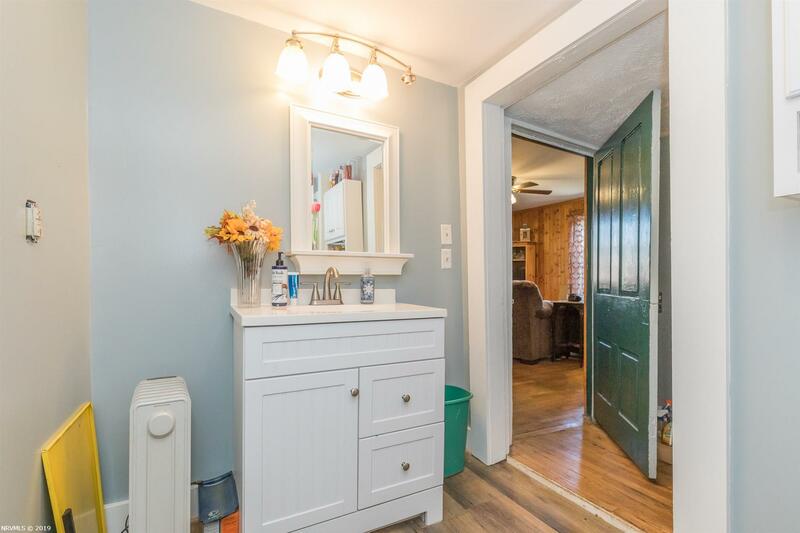 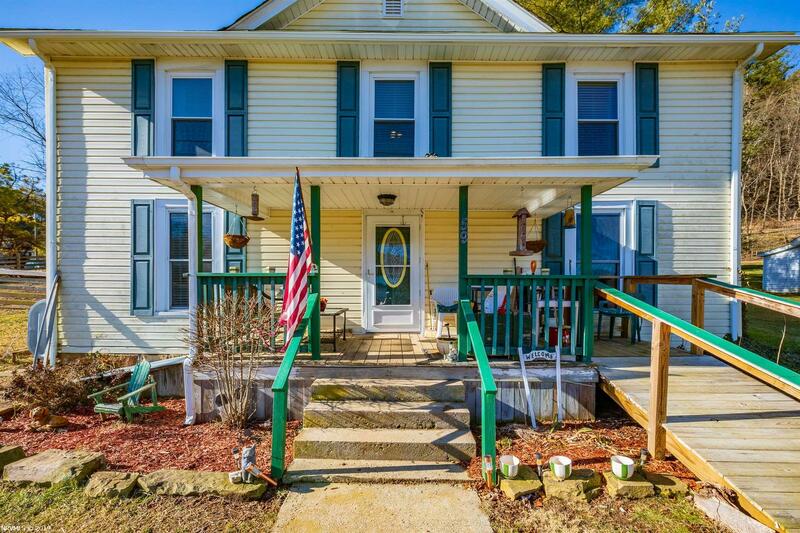 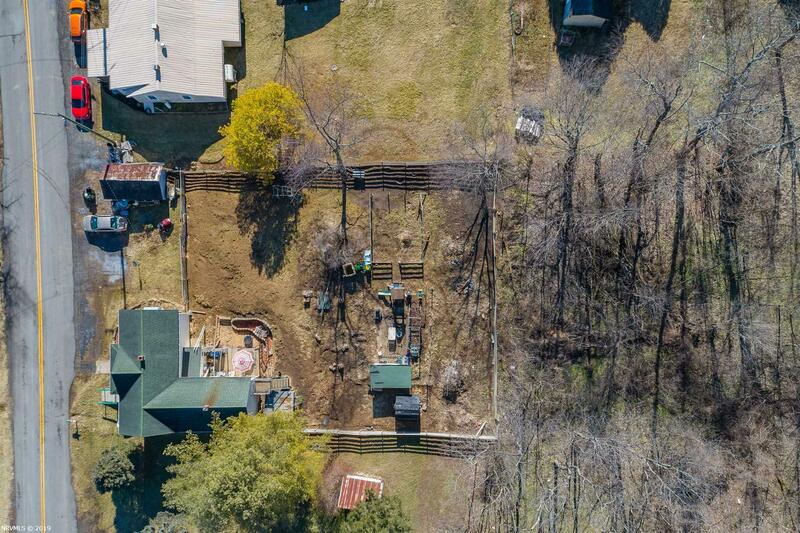 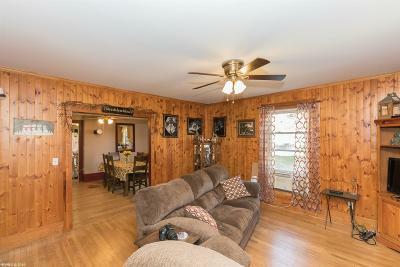 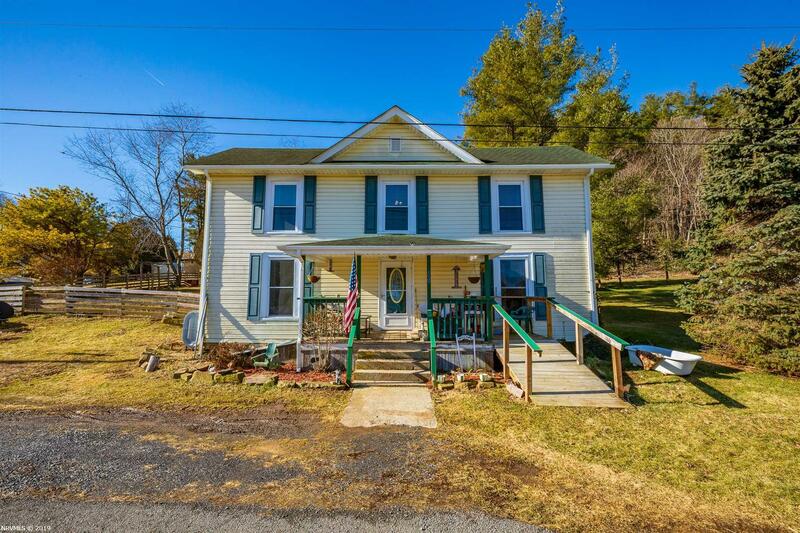 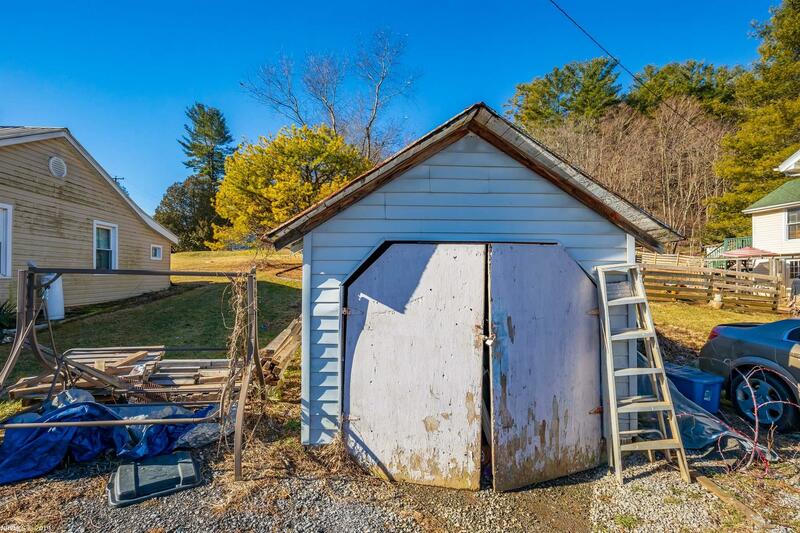 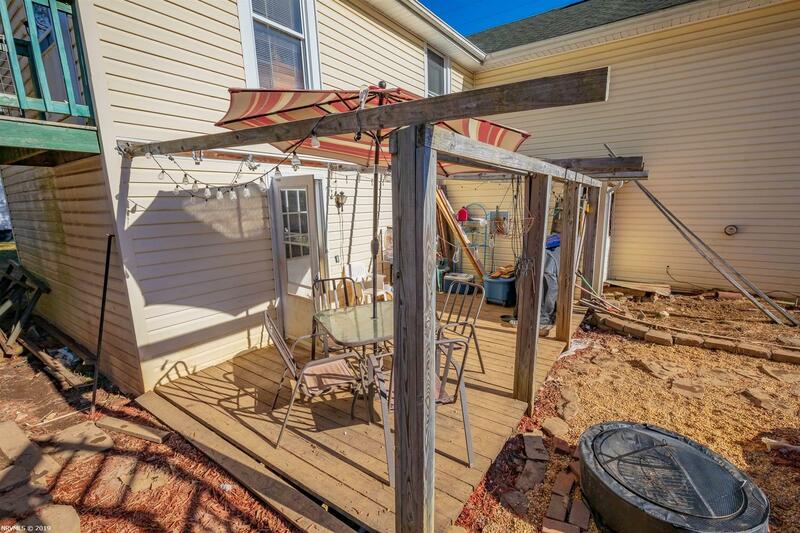 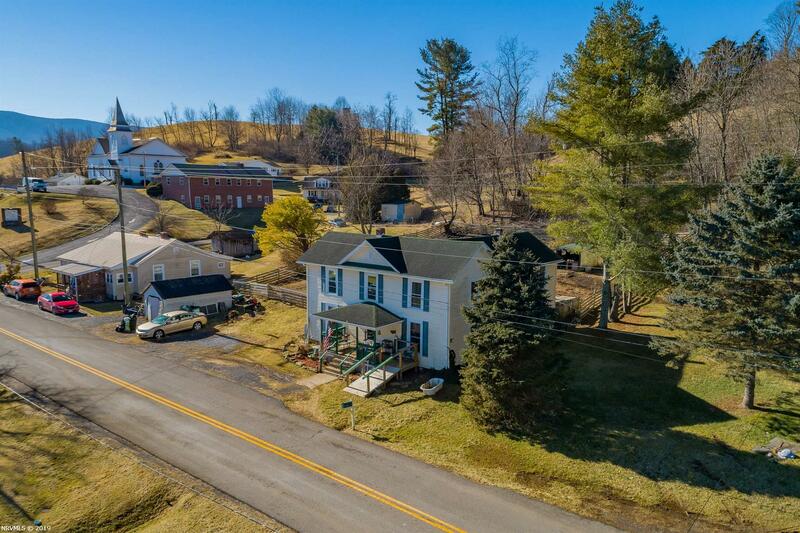 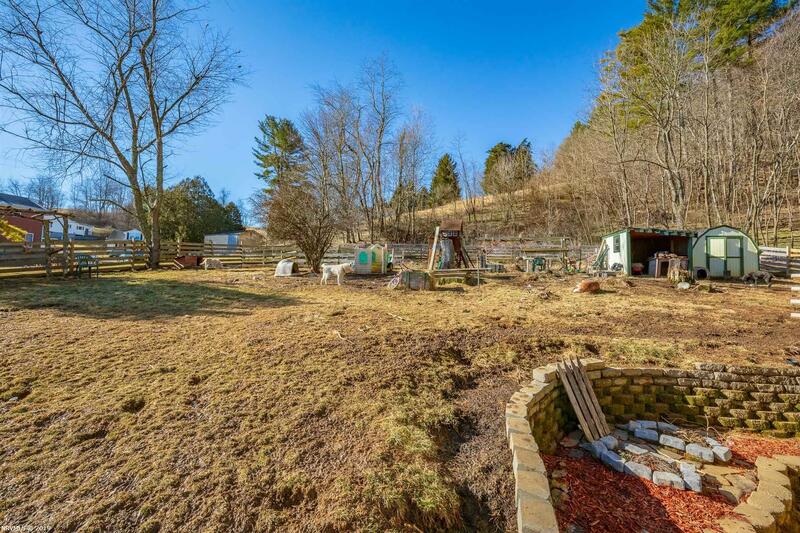 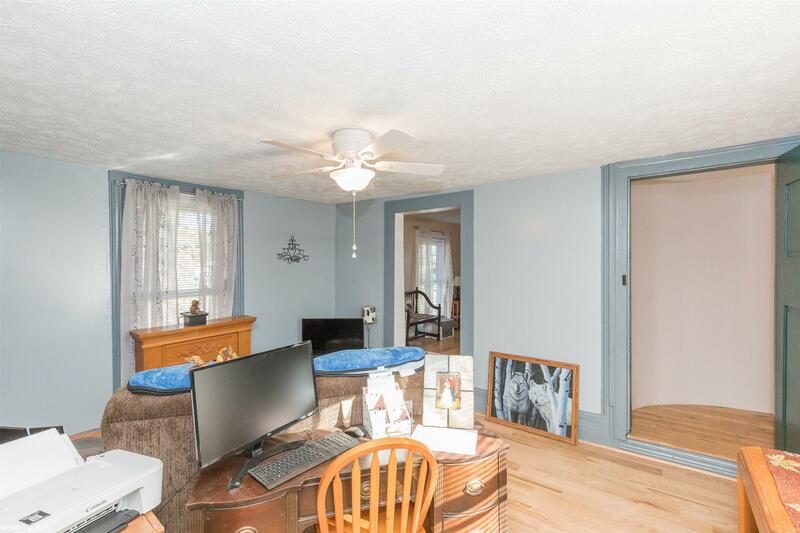 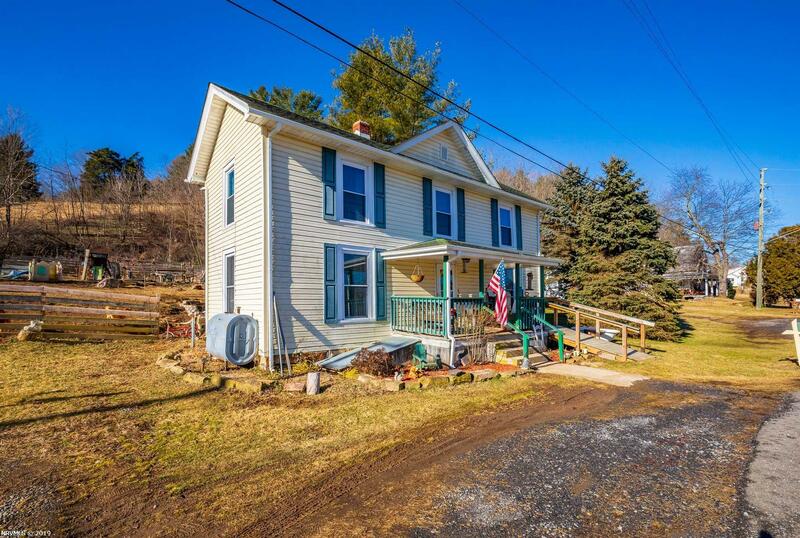 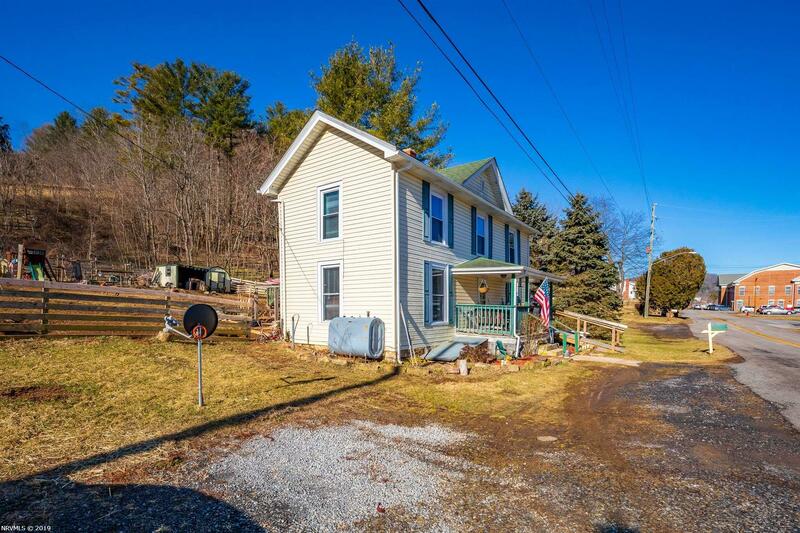 Charming 4 BR 2 BA farm house on just under half an acre in the town of Bland, VA. Conveniently located near the elementary school, grocery store, banks, court house, car repair shops, dentist office, I-77 and more! 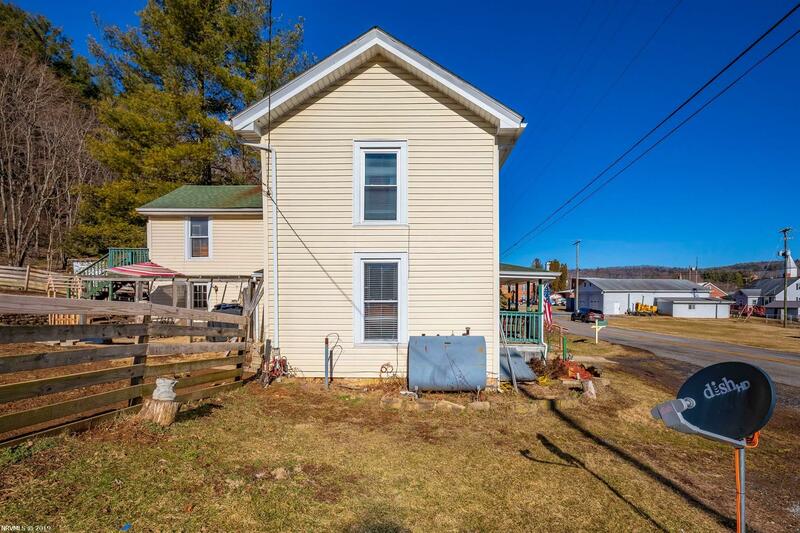 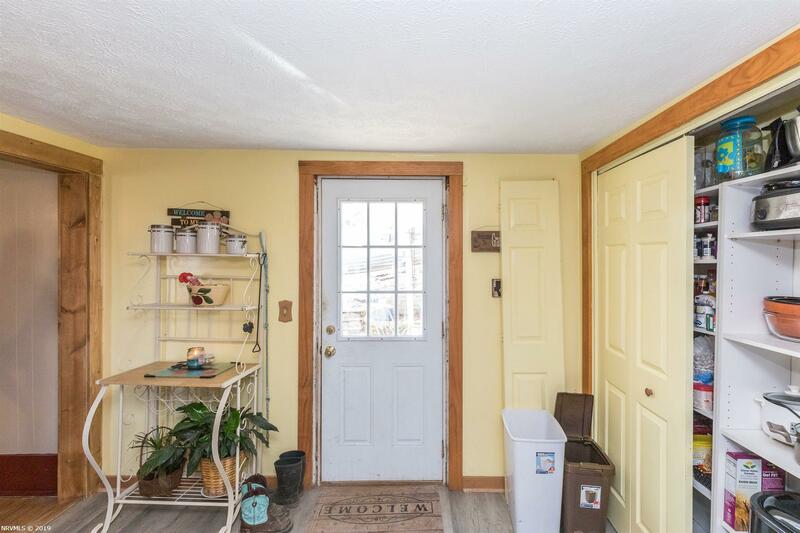 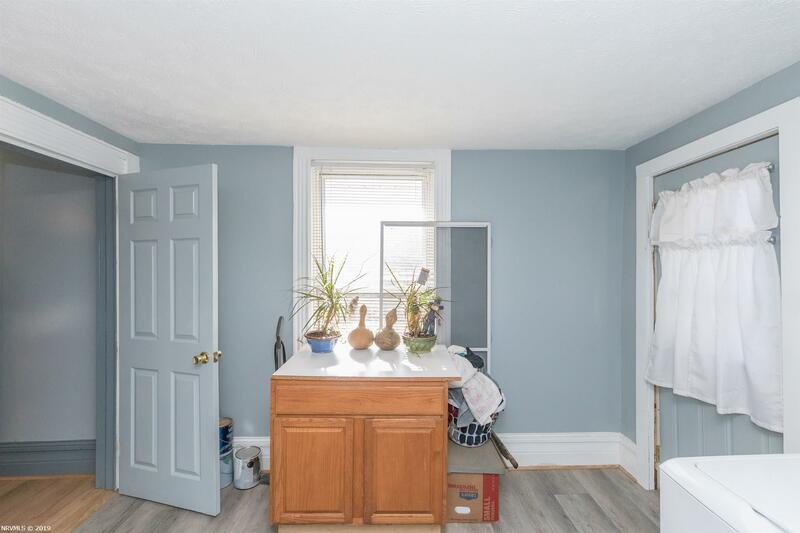 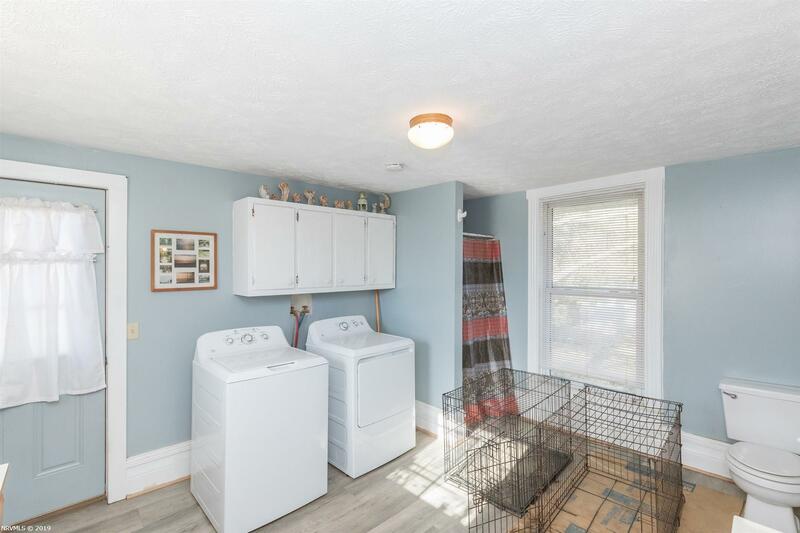 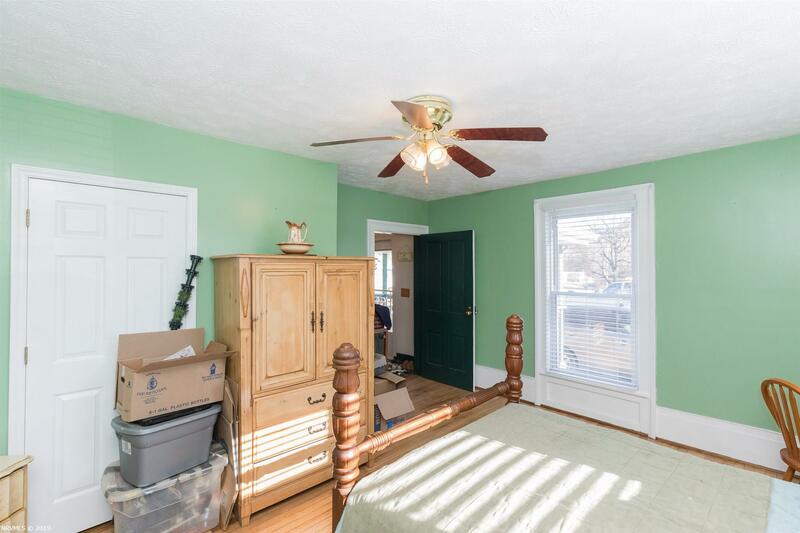 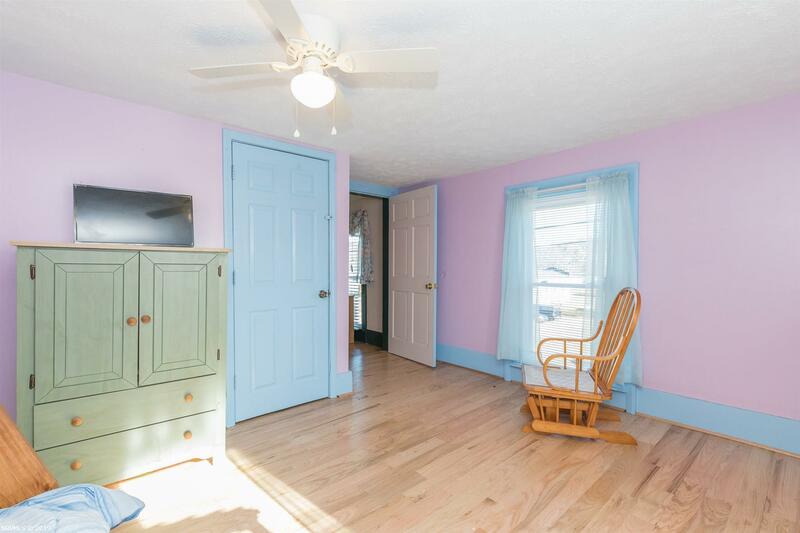 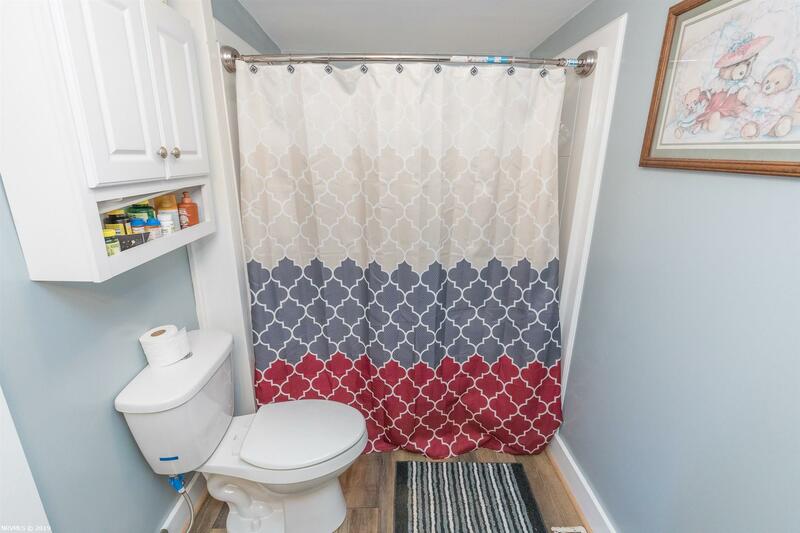 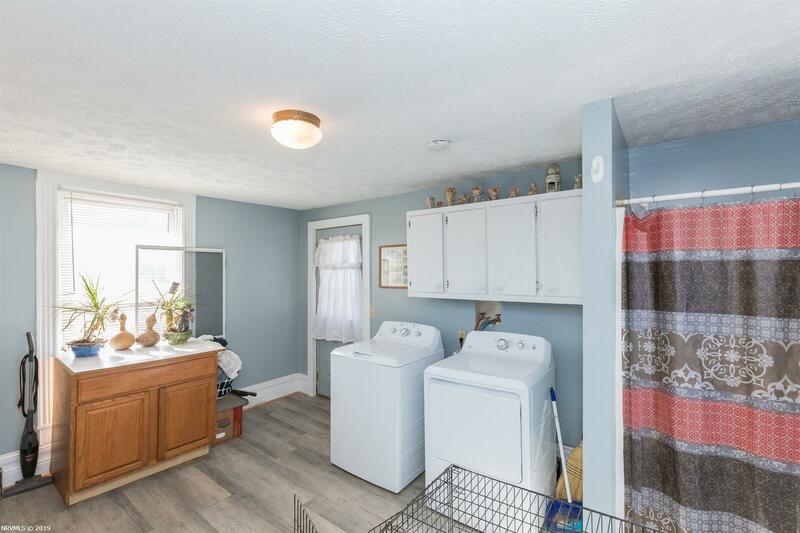 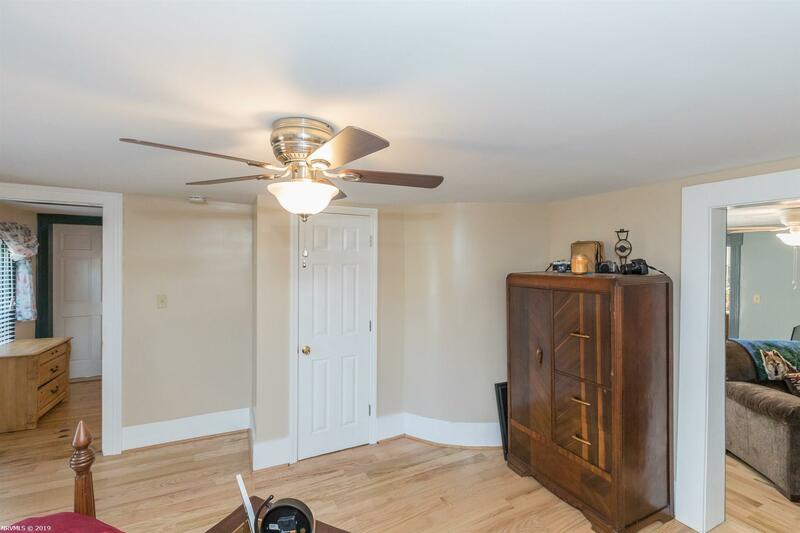 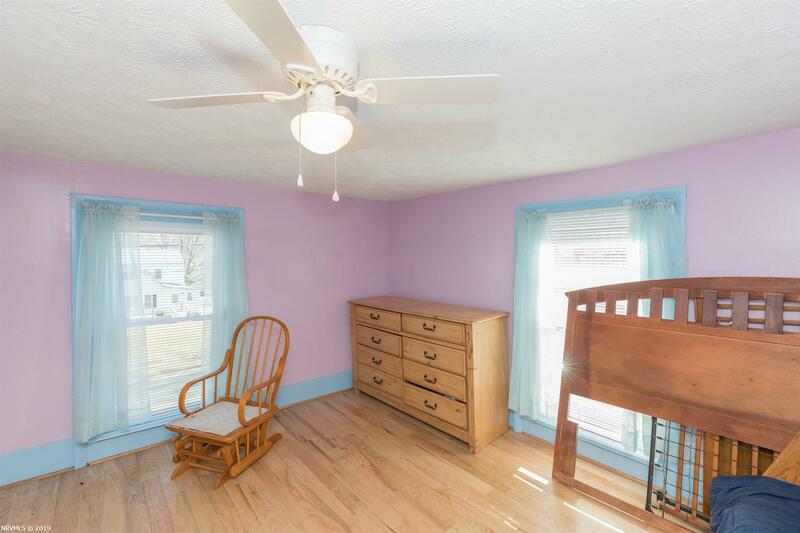 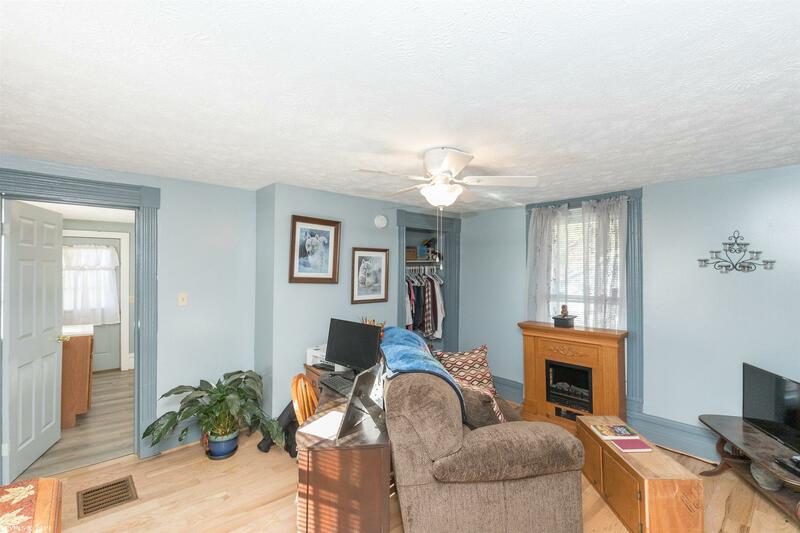 Exterior features include vinyl siding, shingle roof, a nice covered porch, a small garage to fit a small sized car or use as storage, outbuilding/shed, private well, and public sewer. 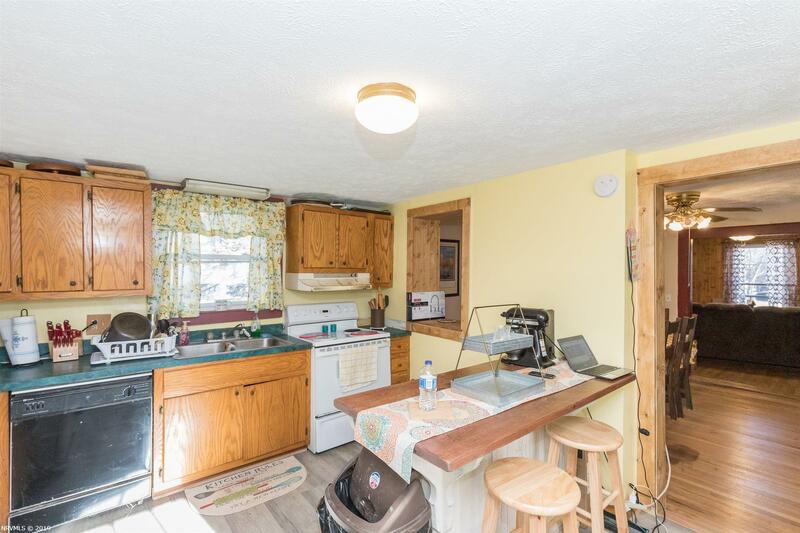 Interior features include insulated tilt windows, oil heat, mostly hardwood flooring, and even a flue to place a wood stove if desired. 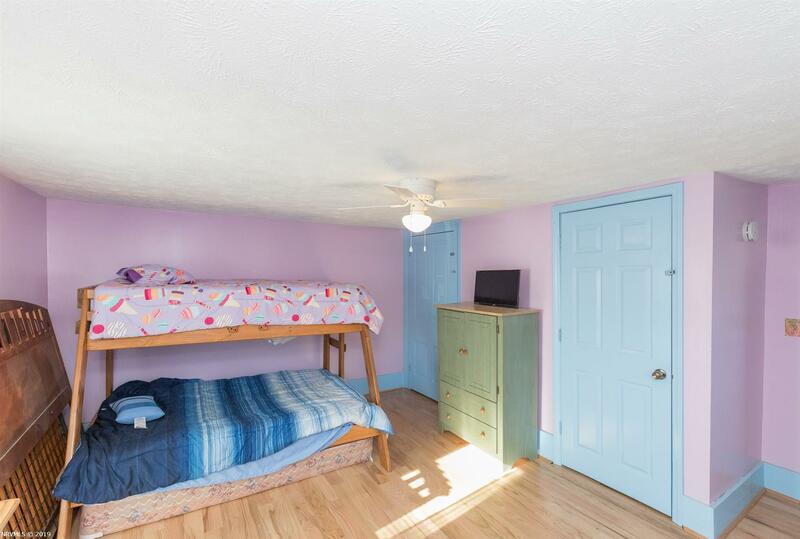 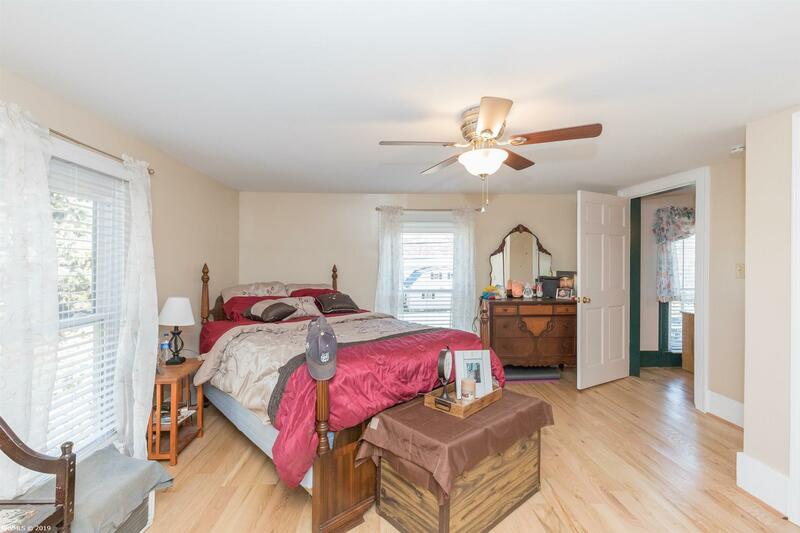 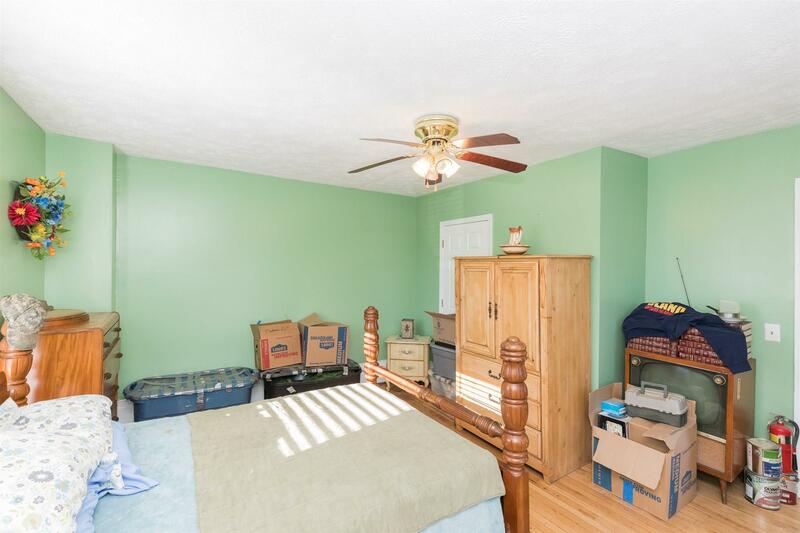 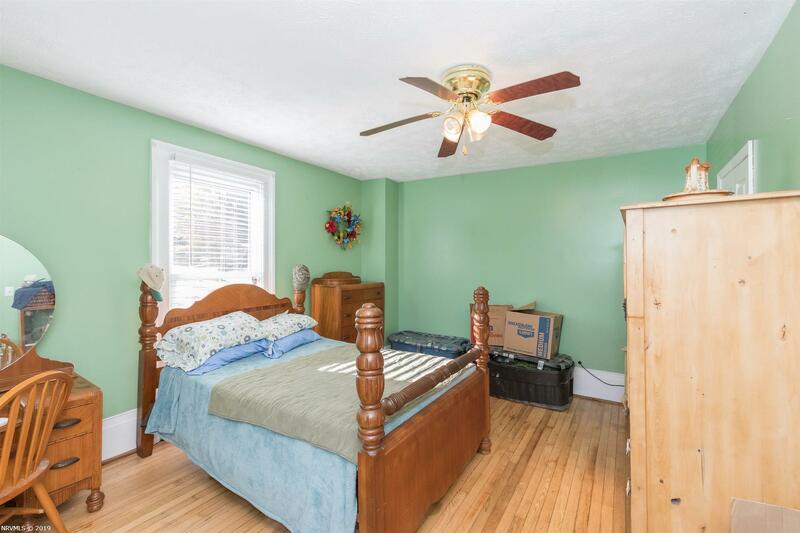 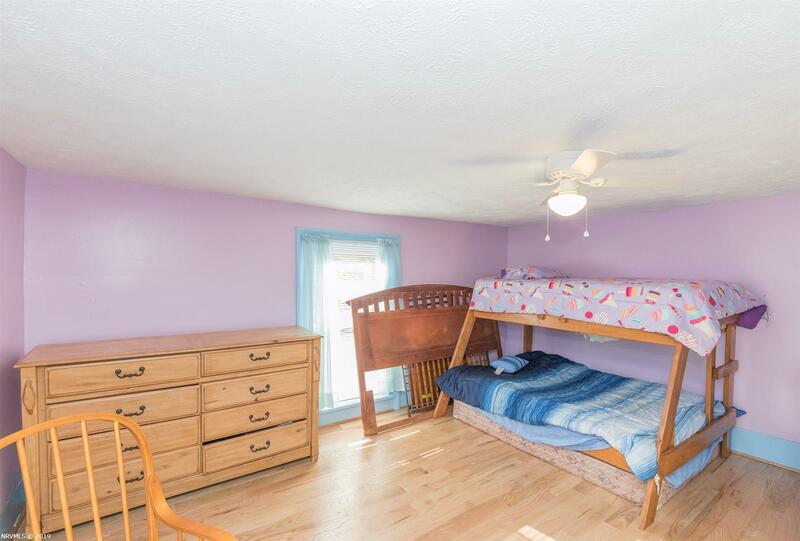 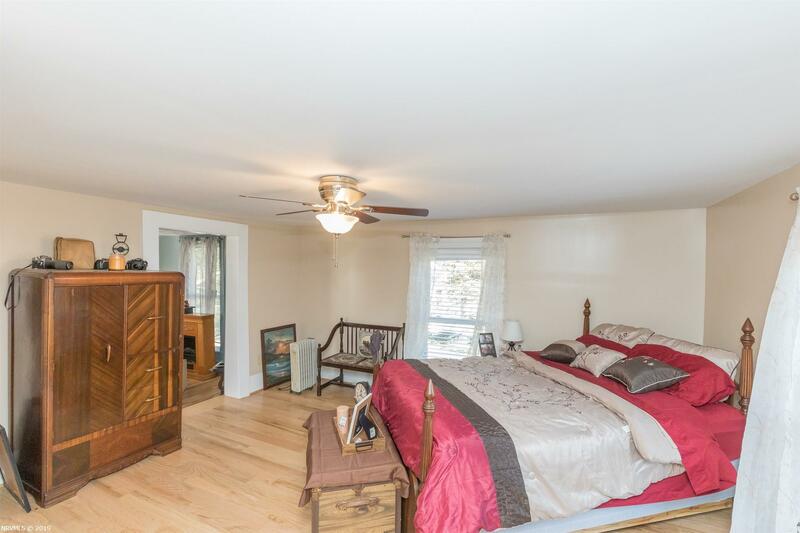 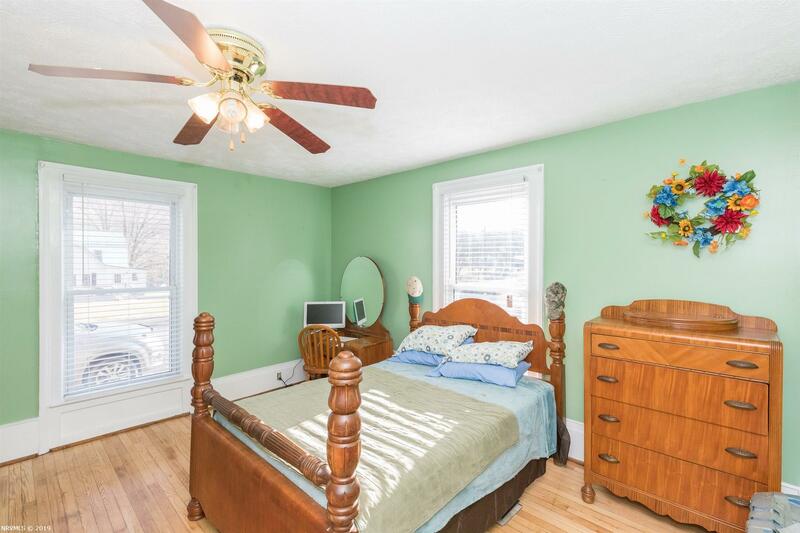 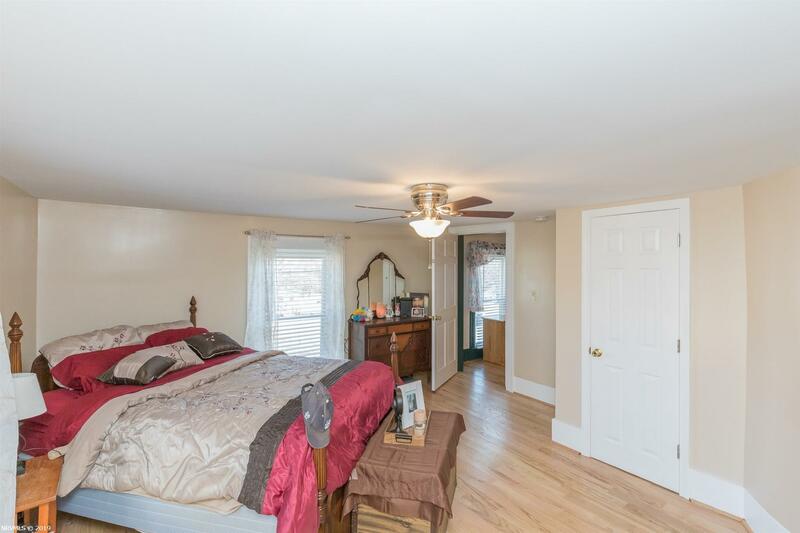 All bedrooms are enormous with plenty of room and there is also a bathroom on each level. 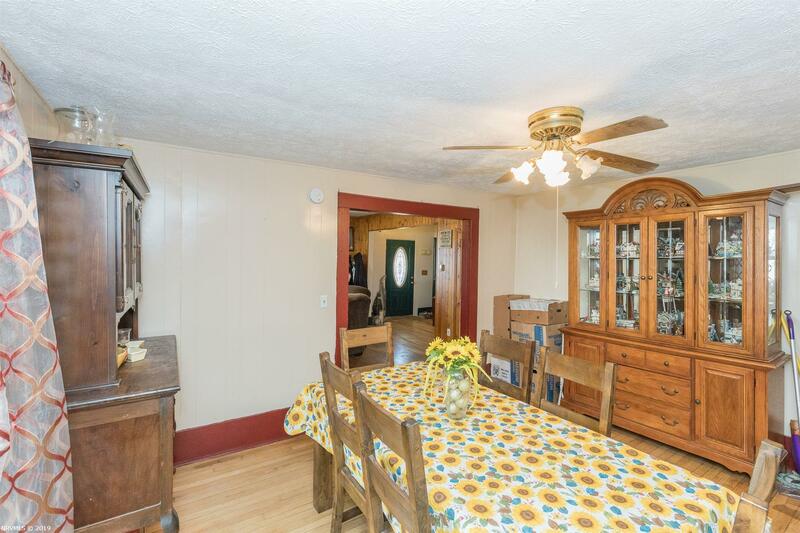 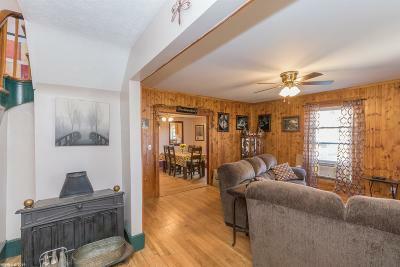 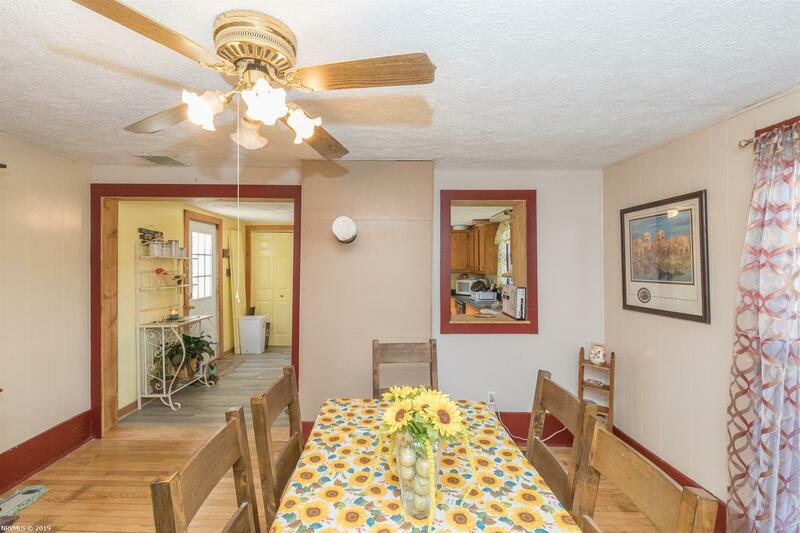 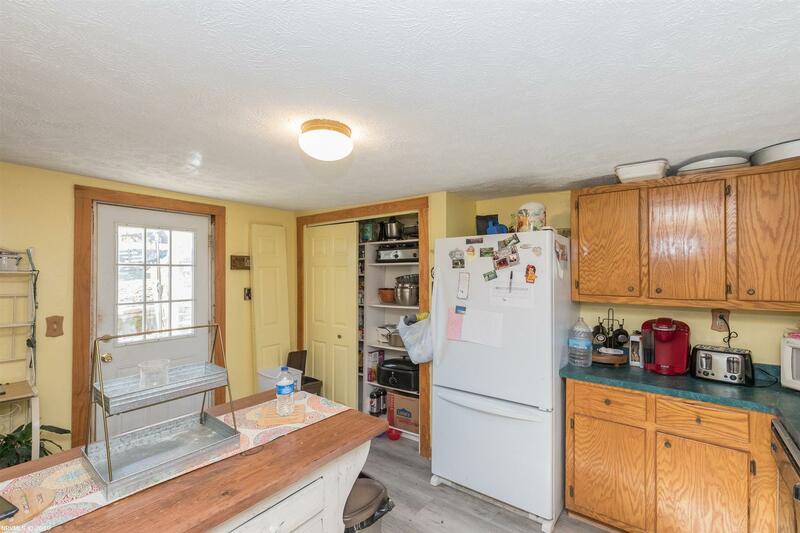 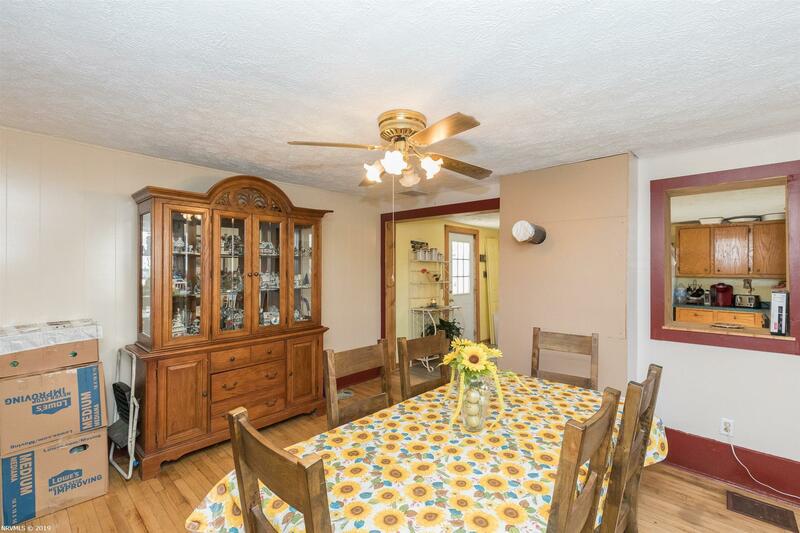 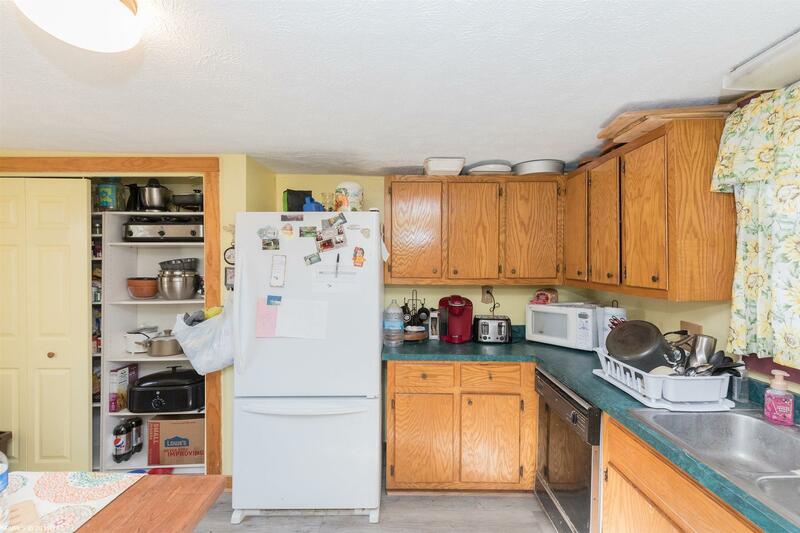 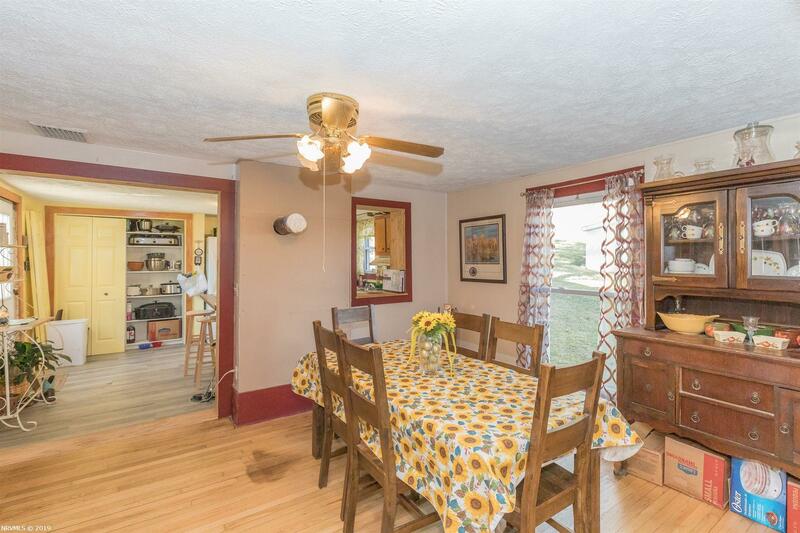 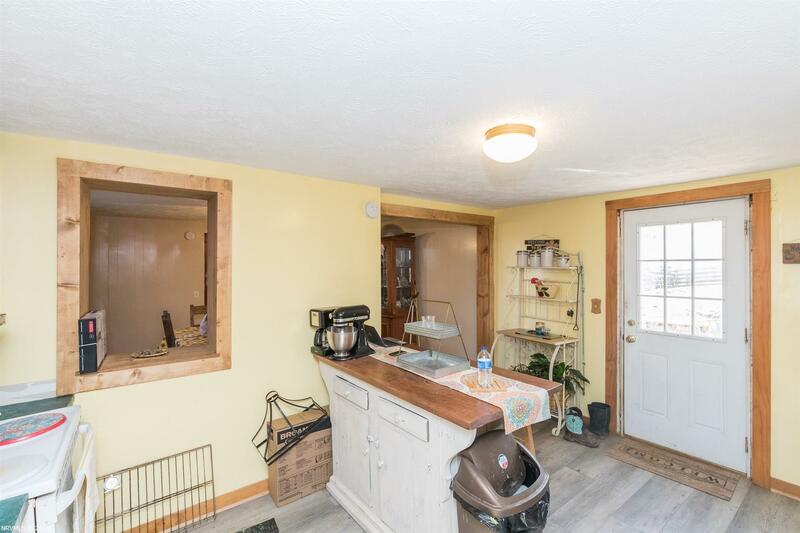 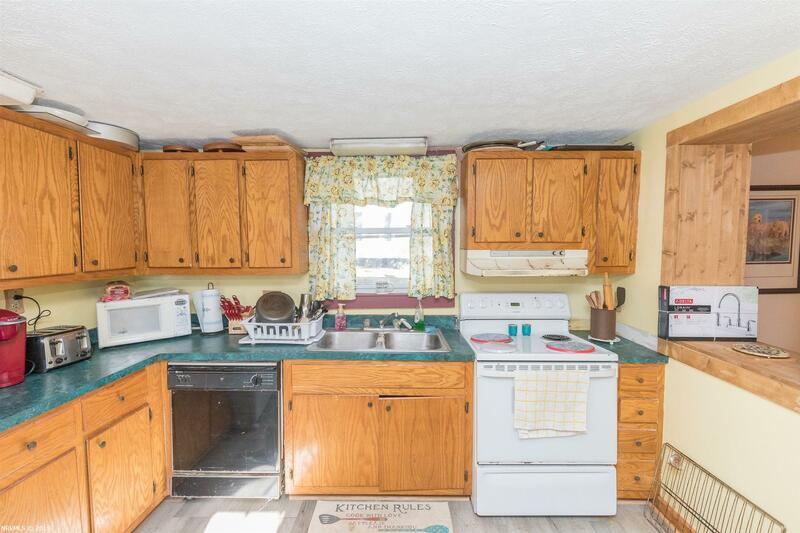 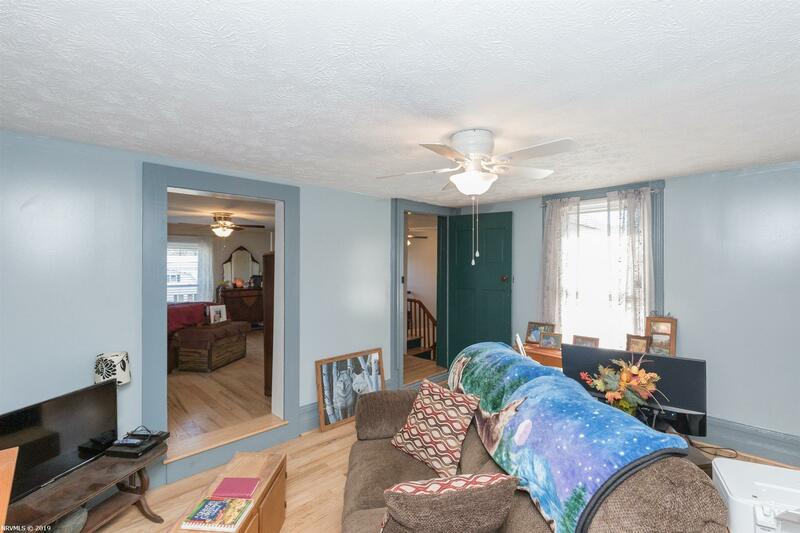 A lot of square footage in this farm house, originally built in 1897. 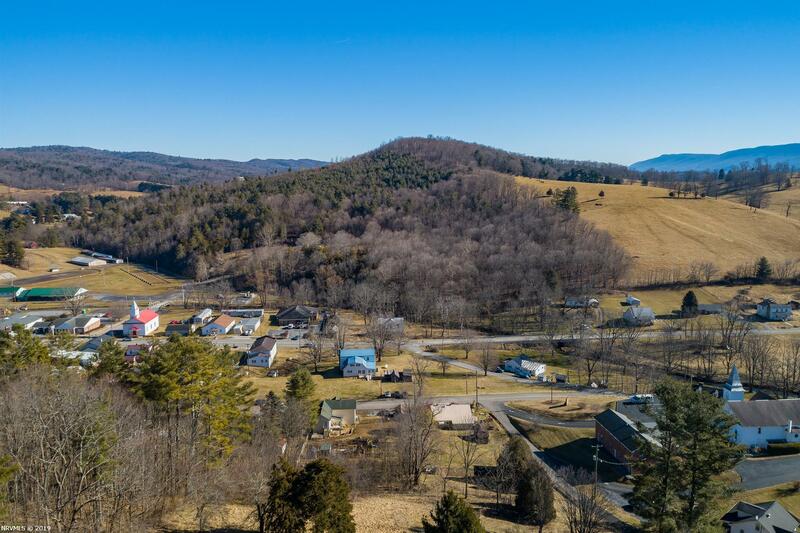 Directions: From I-77n, Take Exit 52 For Bland. 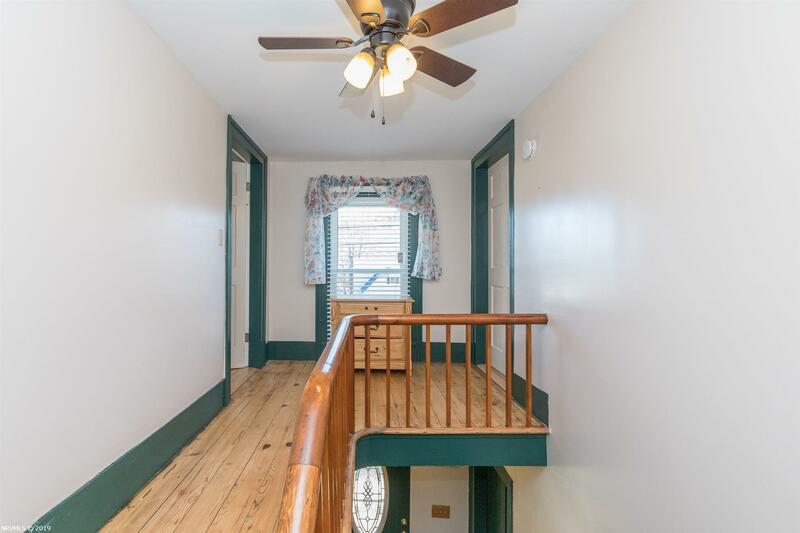 At End Of Ramp Turn Right On Rt. 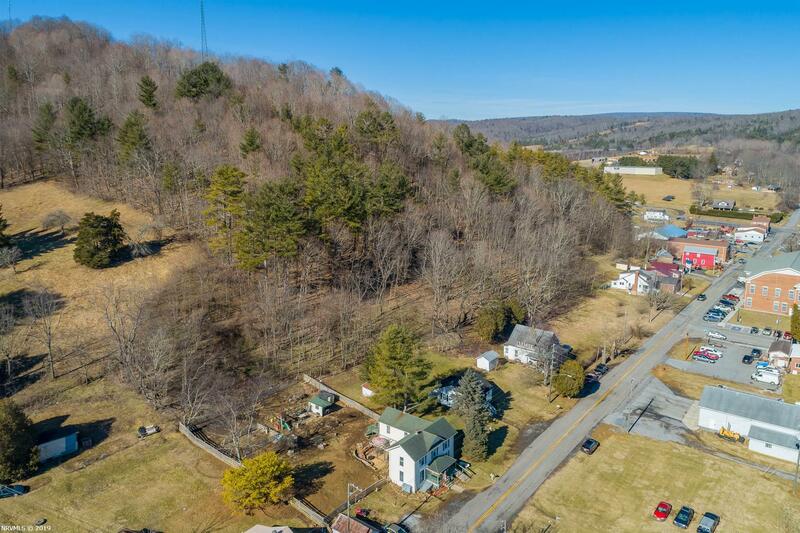 52n For 0.6 Miles To Right On Jackson St. Continue 0.25 Miles To Property On Right. 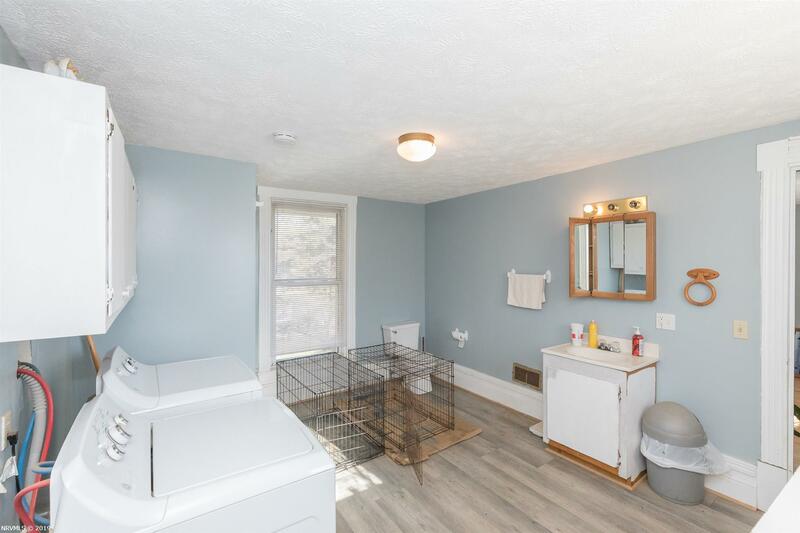 See Sign.